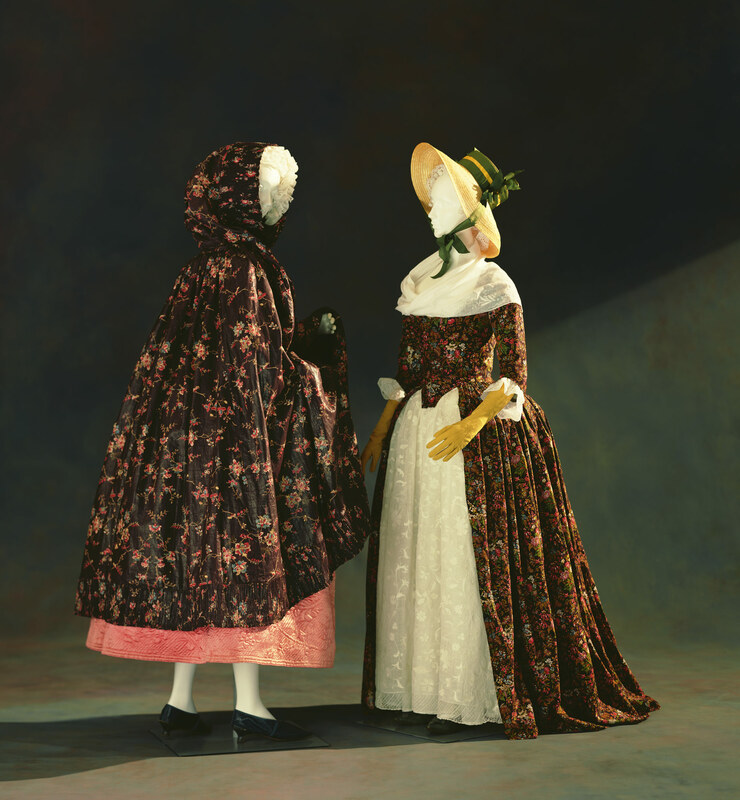 The cape on the left is "indienne-type" floral patterns were printed on a dark brown color, called "ramoneur" (the chimney sweeper), made in Alsace. The "robe à l'anglaise" on the right is English printed cotton with all-over floral patterns. "Indienne", printed cotton fabric made in India, had been known since 17th century Europe. In 18th century Europe,, the printing industry had been developed and the French Alsace region, Jouy in a town near Versailles became a major center of the printing industry. Printed cotton fabrics became popular for interior decoration as well as for clothing, since their exotic and refined polychrome patterns were appealing. They were called "indienne" (literally 'from India') in France, and "chintz" (derived from Sanskrit 'chitra,' a term for multicolor) in England.